True grit. It's a chord that strikes with much of what chef-restaurateur Jock Zonfrillo does, from his work with the Orana Foundation and the constant experimentation with ingredients he's brought back from his travels, to creating Australia's best restaurant on the smell of an oily rag. The pitch, if this is the first you've heard of Restaurant Orana or the Scottish-Italian chef, is an Adelaide restaurant that highlights native ingredients, applied by a man raised in the French kitchens of Marco Pierre White. He's backed by a young, nimble floor team led by Greta Wohlstadt. They'll dig deep with a dizzying amount of information about rare and left-field ingredients across the 16 to 18 courses, if you'd like, or they'll simply pour another glass of wine and disappear. 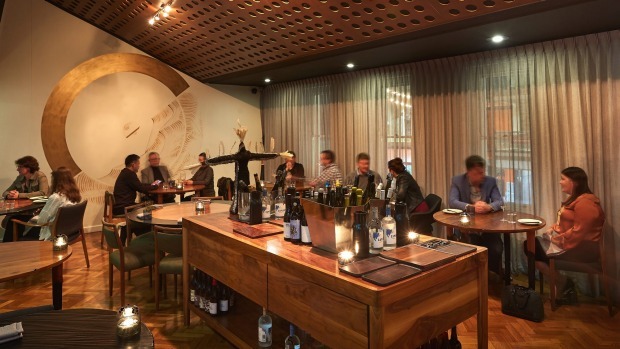 They work the intimate restaurant space from an enormous wine island covered in artful decanters, native flower arrangements and bottles that cover new-and-natural, South Australian establishment and the odd small-batch sake. 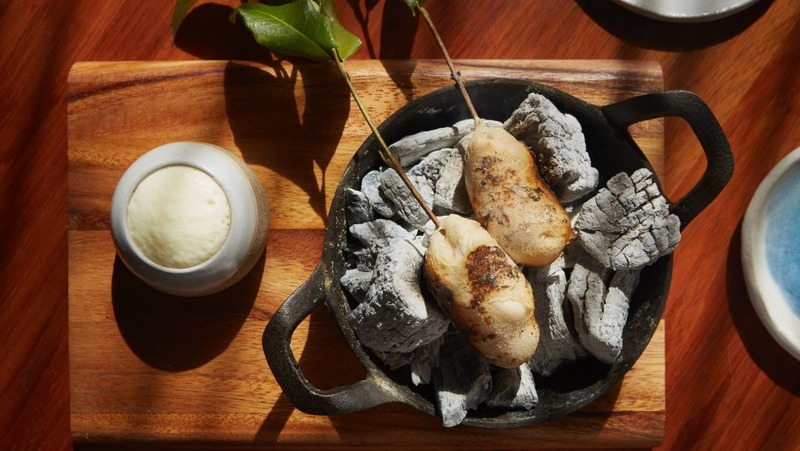 You'll start with potato damper skewered on baby eucalyptus leaves, cooking directly against hot coals right at your table, to be dipped into whipped roast lamb fat. It perfumes the mid-century-modern room with the smell of the bush. But, y'know, elegantly. A hand-dived scallop is charred and spattered in XO sauce, resting on a bed of sea blight. It's a single bite of sweetness, purity and musk, and a statement of intention for the menu as a whole. Zonfrillo's play on an old-school pineapple fritter sees tart, crunchy Davidson plum covered in golden crumbs, draped in lardo and swaddled in a linen napkin. Just like a still life by Rembrandt, if he'd ever visited an Aussie chip shop. In a similar vein, a kangaroo tail tart sees peppery gravy binding the slightly fatty flesh, all served in a short pastry cup, earning its place in the Fine Dining Party Pie Hall of Fame. But then the menu veers into entirely different flavour country with bright, tender camelia petals arranged like a freshly plucked flower in a slick of labna, punctuated by native currants. 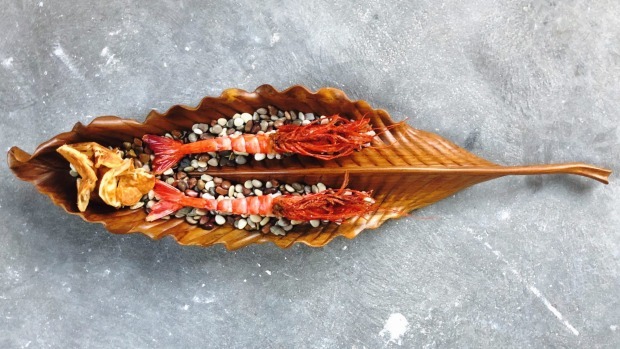 A single Spencer gulf prawn is tucked in a palm-sized roti, the flaky Malaysian-style bread and sweet prawn heightened with hot, numbing and cooling Dorrigo pepper. That lip-tingling little sandwich is quickly tempered by fingerlings of Port Lincoln squid, grilled over coals then fried in aged beef fat. Native lime lifts the richness but doesn't hide the funk. Fine slices of kangaroo loin are as tender and melting as any cut of wagyu, only with a little less musk and a lot more game. Served on a bed of mash, it's about as trad as things get at Orana. Except, not really. Because that loin is dressed in what Zonfrillo refers to as the "Orana mother sauce". Think of it as the Australian equivalent of master stock – a mix of smoked, fermented, cured and grilled offcuts all in one pot. It's tended with as much care as a baker would a sourdough starter, only here, the mother is owned by the grill man. The second bread course (yes, there are two and no it's not excessive. 2018 is the Year of the Carb, after all), if you can manage to resist the macadamia nut butter, is also served with Northern Territory mud crab bound with bunya nut miso. As much as I will drop anything I'm doing in pursuit of a crab – especially when it's served with that dark, malty wattleseed sourdough – I would hazard it's showy, expensive and wasteful this far into a degustation. Still, I'd never argue with seeing it again. 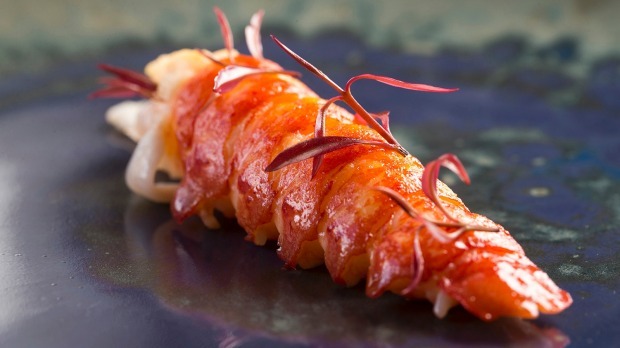 Nor the marron tail, served with a sauce of ants whipped through Geraldton wax – the bouncy, juicy shellfish offset by deep, vegetal savour and the odd acidic fizz and pop of a whole ant. Here's the thing. When I first visited Orana three years ago, it left me lukewarm. Dish upon dish of astringent, hand-wringing earnestness. Stiff service. I spent the evening quietly waiting to leave. Maybe I was there on a bad night. But the proof, as they say, is in the Davidson plum pudding. 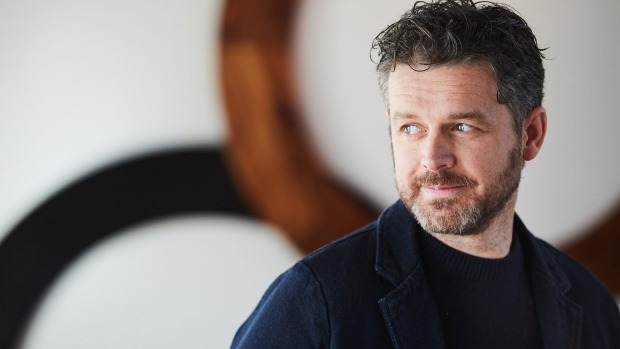 Since that visit, my feeling is that Zonfrillo has developed a more sympathetic relationship with the ingredients he's so passionate about. And through that comes balance, beauty, and assurance in his cooking. Despite the dense narrative, there's a lightness to Orana now, with an attitude that's carefree and entirely joyous. If ever there was a perfect example of occasionally letting the tide take you, it's here. Cost: Tasting menu $240 a head. Wine match $170 a head. Non-alcoholic beverage match $85 a head. Drinks: The drinks program skews between new school and old school with a focus on South Australia. Vegetarian: Definitely, but it's tasting menu only, so essential to call ahead with dietary requirements. Go-to dish: I can't get enough of that XO scallop. Pro tip: Bistro Blackwood downstairs offers a taste of Zonfrillo's cooking, without the formality.